Condominiums are a popular option for many buyers. The overall cost is often lower than purchasing a traditional house and, in some condos, there is a real sense of community among residents which can be perfect for those looking for a sense of community near the comforts of home. Despite the benefits that condos provide, there are also some potential pitfalls for individuals and investors alike. Let’s look at three of the most common condo concerns to keep in mind whether you’re shopping for your next home or your next investment. Window and roof leaks are one of the more common finds in condos. Leaks may occur for a variety of reasons – poor maintenance, poor design, aging or even settling of the structure – but the result is the same either way. Leaks can be incredibly damaging, allowing water in that can cause damages, staining surfaces and other havoc to the structure. Even worse, sometimes leaks can be difficult to identify and correct in full. Window leaks may be caused by defective windows or improper installation, or be the result of poorly manufactured windows or improper installation leading to drafts or gaps. In multi-story buildings, these leaks may be further compounded by windows that adjoin other windows above the unit, meaning the issue source isn’t even at the window that shows symptoms. Let a professional inspector review your prospective condo property for leaks and other issues before you make an offer. Wood floors are another common problem in condos. While hardwood floors are attractive and appealing, they can warp if the wood was not properly acclimated before installation or if it is exposed to moisture after being installed. Gaps between the wood planks may also indicate moisture problems as the wood has likely been expanding and contracting due to fluctuations in humidity. Even laminate wood flooring is susceptible to warping due to moisture, and may also develop mold problems beneath the floor if it is improperly installed. Make sure to review the flooring in your building before you bid. Ventilation may be an issue in either common areas or individual condo units. Inadequate ventilation in individual units may lead to moisture problems, particularly in bathrooms and kitchens. This can lead to the growth of mold, not only in the individual condo, but in units above or adjacent, as well. Problems in the common areas may result in issues with airflow or odors, possibly leading to foul or unpleasant smells. Ventilation problems may be a result of design problems or the faulty installation or maintenance of ducts, but a professional inspector can review the ventilation system to identify flaws or faults and identify concerns before they become your concerns. 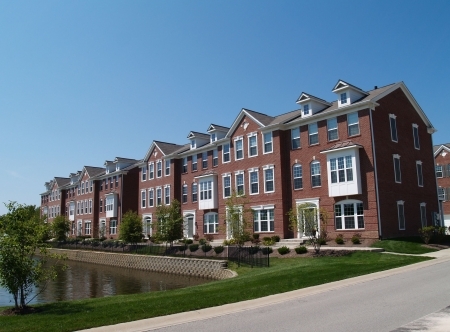 Condominium complexes that have considerable problems can cause a number of issues for both private owners and investors. Private owners may find themselves in a fight against a condo owner to remedy failures in a unit, while new owners of condo buildings may face a legal conflict with residents over in-unit concerns. Don’t jump into your next investment without knowing exactly what you’re getting into. Let the professionals at Accurate Home Inspections help you avoid unpleasant surprises when purchasing a condo by conducting a professional inspection performed. We can identify many potential issues with a property before they become your problem, allowing you to make an informed decision about your purchase. Contact us today at 403-826-6111 to schedule a condominium inspection.